Having taken delivery of a new Predator 460 25hp stump grinder we are now able to offer a very competitive stump grinding service. This can be as a stand-alone job or in addition to tree work. Our stump grinder will fit through a 30 inch gap so will easily go down most side gates beside a house. Please contact us for a competitive quote. 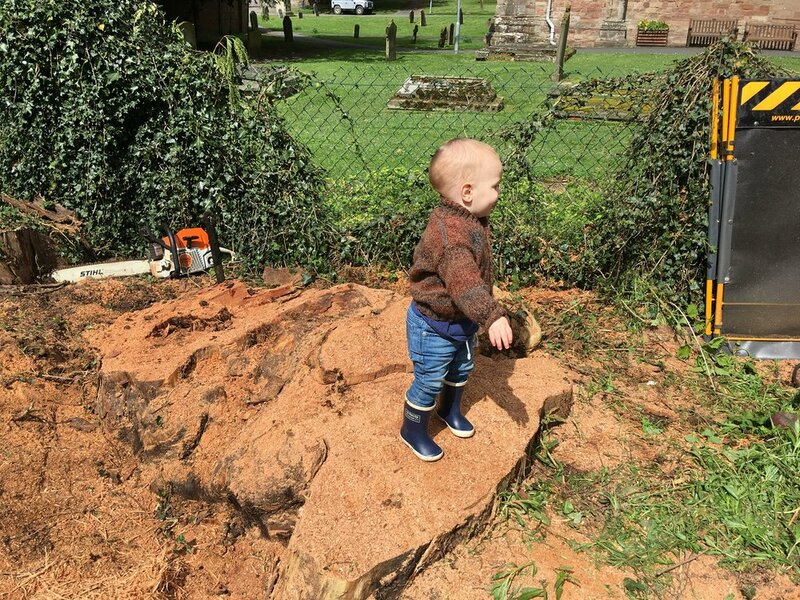 All our stump grinding is insured and we always use protective barriers to make sure that no flying debris will damage anything of yours. 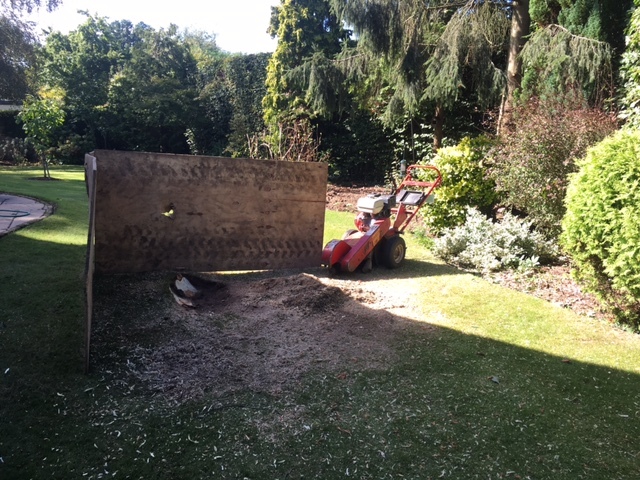 Stump grindings can be taken away to leave you with a hole to fill with soil and turf over or they can be left in situ.